Shunee Yee founded CSOFT International in 2003 and has grown the company into a global business with more than 450 employees and 10,000 translators worldwide. In 2009, the Stevie Awards selected her as the Best Asian Entrepreneur for Women in Business, and she was recognized as a Top 25 Globalization Executive by Globalization Today in 2011. In 2012, CNN called her one of the “technology industry’s 36 most powerful disrupters,” and was later named a Fortune Top Ten Most Powerful Women Entrepreneur. In 2015, The Economist listed her among the Top 50 Global Diversity Professionals in industry. In June 2016, Yee launched the Globalization Shenzhen 100 research report which aims to index the most innovative Shenzhen businesses based on their ability to expand globally. 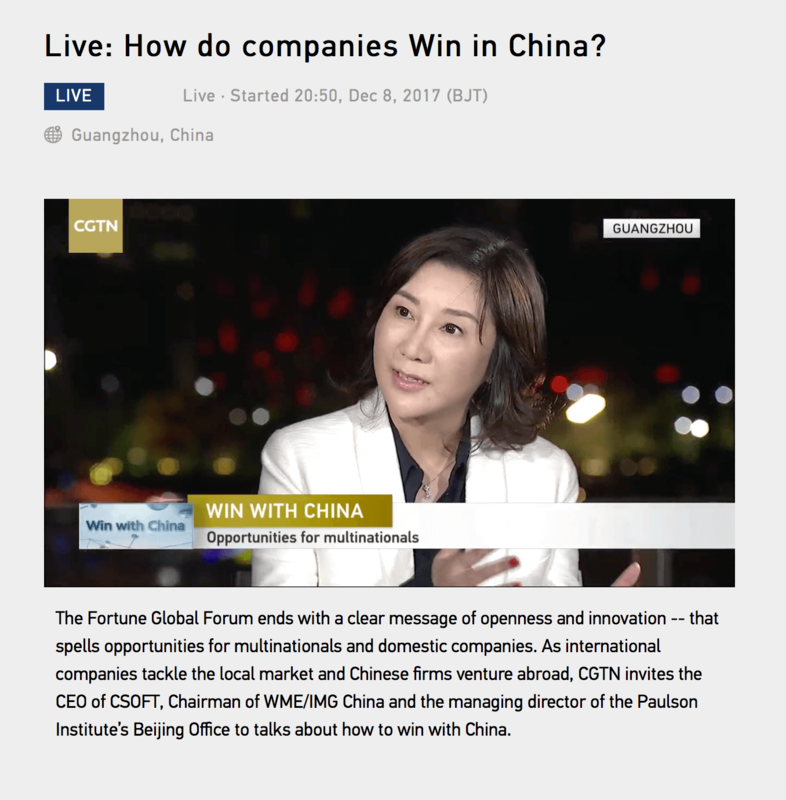 From December 6-8, 2017, CSOFT CEO, Shunee Yee, attended the 2017 Fortune Global Forum in Guangzhou, China. The following is a reflection on key lessons taken from the conference. In the past, machines were seen as the great liberator of humankind, the mechanical workhorses able to take on our more menial tasks and free up human beings to develop themselves and expand their horizons in new directions. Certainly, this is true with innovations such as washing machines and computers having contributed to fundamental changes in the roles human beings have in society. Today however, this dream has been forgotten and AI has become something to fear; the dreaded rise of the robots who will take all our jobs and make us obsolete. I reject this. To me, it’s a lot more exciting to discuss how AI can continue to support human development and advancement, rather than how robots are going take over the world. At the same time however, we must admit that technology is advancing at a rate that is difficult for society to keep up with, and as we move forward, the synergy between man and machine requires careful planning. This is a big challenge. As Apple CEO Tim Cook expressed on the opening day, innovators need to hold ‘humanity’ at the center of their innovations. We need to seriously start thinking about what professions we want to keep for humans and what burdens we can comfortably shift to AI. Perhaps it is not too early for policymakers to start considering how new regulation can clearly demarcate these boundaries. At the same time, we need to strategize for the future, and identify the areas of human endeavor that are inescapably human, and that we want to advance in. A couple years ago I took an Uber ride from our San Francisco office to the airport, and had an interesting conversation with my driver about new start-up tech companies. When I told him about a new startup offering robot housekeeper services, Milano, a second-generation Italian-American, shouted back “No! I want my mama to cook!” He went further, telling me “If a robot says, ‘I love you’, it’s not the same when my mama tells me she loves me”. We should never forget the importance of consumer choice. From Milano’s perspective, the human-quality of his mother’s food trumped any other consideration. This is an important lesson. We should never forget the importance of consumer choice. It occurs to me that perhaps policy makers should also consider the value of labeling regulations that clearly establish products and services that are machine, and those that are human. Again, it is this sort of thinking that could help guide the direction of AI/human co-operation, by allowing market forces to determine what we think should or should not be the role of machines in our world. I guess, even though one day machines may move into areas of human creation that today we would never believe possible, there is still a fine difference between what we as humans produce vs those that come from a machine: language, food, art, poetry, and culture. These are perhaps the ultimate symbols of our humanity. However, the question is not necessarily how do we stop AI taking this away from us, rather it is how can AI enable us to surpass our previous achievements and excel in these areas? It is a deep question for all innovators to ponder. For companies to stay disruptive and our society to continue being innovative, we must think differently. When we talk about a global economy, we are speaking about a world that has 7 billion people speaking more than 6,500 different languages. 50% of this population speaks more than 2 languages. How can AI help us better utilize this vast rich bilingual human resource? 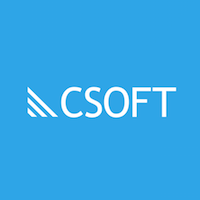 At CSOFT, we are developing an AI-driven mobile platform to allow bilingual talents around the world that offers real-time human translations and interpretations. We believe that by utilizing AI, we can help further develop these human resources in new and creative areas. This is the sort of cooperation between man and machine that we believe could hold the key for not only improving the quality and productivity in society, but also determining new roles and more jobs for humans, in the 21st century. As AI takes on more and more of traditionally human roles, we are presented with the question “Well what should we do now?” At CSOFT, we do not see this as a challenge, rather we see it as an opportunity. An opportunity to improve ourselves and our capacity to evolve. And we intend to grasp this opportunity with all the spirit we can muster. To learn more about CSOFT’s human-powered real-time mobile translation App, check out Stepes.com.